The free version of Remind's app has a variety of uses including notifying groups about class assignments, schedules or emergencies, as well as two-way communications between individual teachers, students and parents. But Remind chief executive Brian Grey said its annual costs would jump from "tens of thousands of dollars" to "hundreds of thousands of dollars," and the increase is unsustainable for the company at this stage of its development. 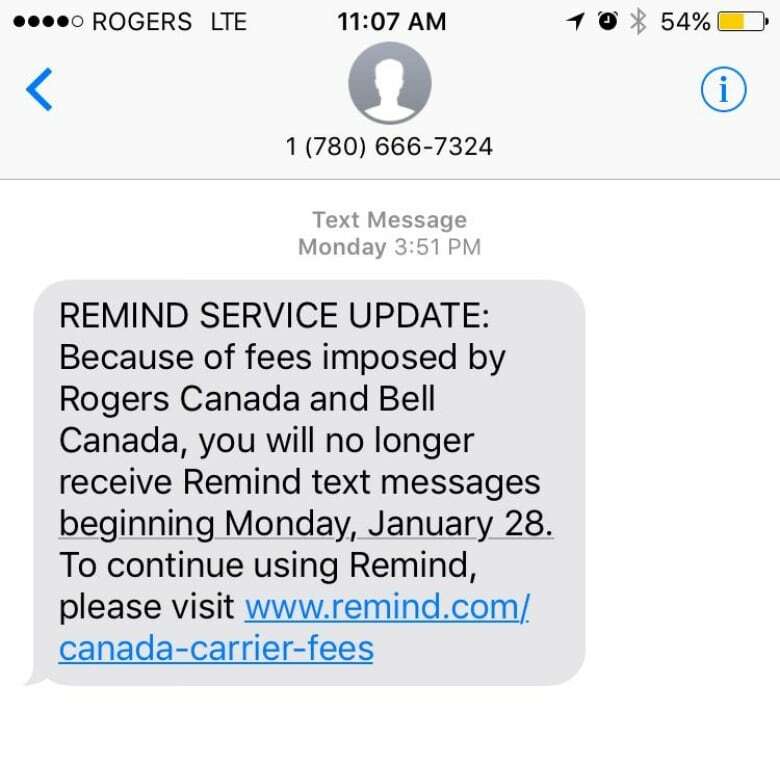 In the meantime, Remind's strategy in Canada is to provide a free version of its service to teachers who then spread the word to students, parents and eventually school administrators. "That's why this move by Rogers and Bell also is problematic. Basically, it comes at a time when all we are providing to Canada — educators, students and parents — is a free version of our service." "Our business model is really about building more benefits and features into our communications platform that then allow us to sell a paid version … that connects to what are called school information systems," Grey said. Grey said he's looking for alternative methods for Remind to reach users in Canada but said it would be better to stay with Bell and Rogers, given the number of teachers, students and parents who use their service.